Heads up! 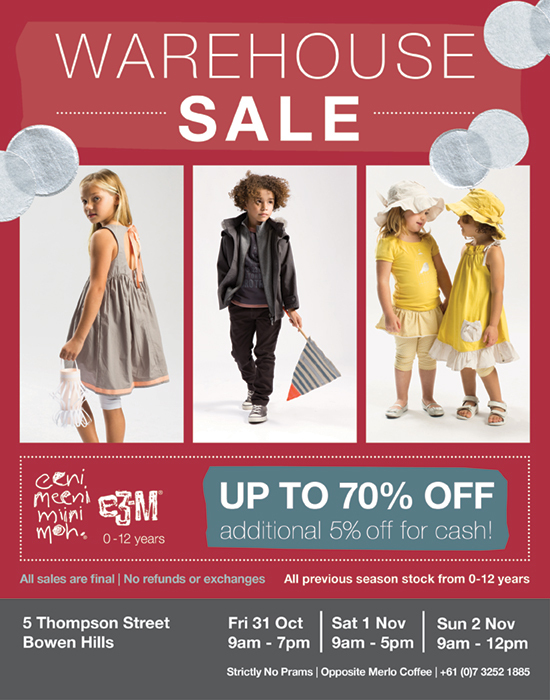 The famous eeni meeni miini moh and e3-M warehouse sale is on in Brisbane this weekend. Up to 70% off (extra 5% off for cash payment) on previous season stock sizes 0-12 years. Friday 31st October - Sunday 2nd November 2014. Stock up and get Christmas gifts sorted!